A panel will shortly select 12 images for a final exhibition in May in the City Centre. The successful 12 photographers will be invited to a special reception to celebrate their work with competition organisers, Bradford MDC, Department of Place, Bradford UNESCO City of Film and local dignitaries. All updated information on the process will be placed on the website. Photographs and films selected for the Parks and Places exhibition in March will run on the Big Screen every day at 12:45. 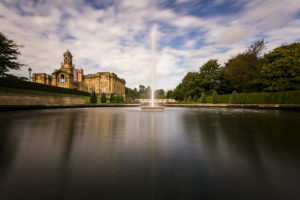 Budding photographers and filmmakers are being urged to spring into action and celebrate Bradford District’s parks and countryside as part of an exciting new initiative. “Parks and Places” is a year-long celebration of the District’s green space and will record all that is special about our parks, woodlands and countryside – from the wilds of Ilkley Moor to urban outdoor spaces like City Park. Photographs and films will be screened in a daily exhibition on City Park’s Big Screen and a selection of the best entries will be judged in an end of year competition, with many awarded a place in a new permanent public exhibition in the city. Find out how to enter the competition below. Organisers say with more than half of Bradford District’s land as green open space and the District boasting 36 parks – six with prestigious Green Flags – it’s a cause for celebration. Entries can be snapped on any camera. We’re keen to see people capture special moments whilst out and about in Bradford District’s many parks and places. 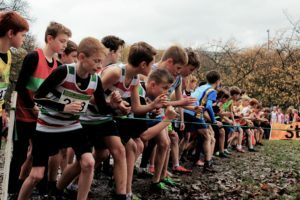 For example, Shyla Lee caught this beautiful image of young runners lining up for the start of their cross country race in Cliffe Castle Park. The Parks and Places project is run by City of Bradford MDC, Department of Place in partnership with Bradford UNESCO City of Film. Parks and Places: March 2018 from Bradford UNESCO City of Film on Vimeo. This competition is open to all residents of the UK, Channel Islands, Isle of Man and Republic of Ireland. Entries should be submitted by email to events@bradfordcityoffilm.com They must be labelled with the entrant’s name, address and telephone number and marked for either the Under 18 category or the Over 18 category. By entering the competition an entrant under 16 agrees that they and their parent / guardian have read, understood and agreed to be bound by the competition information and these terms. The parent/guardian must authorise the entry in the submitted email. Video footage/films needs to be a maximum length of three minutes long and a minimum of 30 seconds long. Films should ideally be a .mov or mp4 file submitted via Dropbox, WeTransfer or a similar web transfer site. The big screen aspect ratio is 16:9 anamorphic and PAL format. A full screen image is delivered at 1024 x 576 landscape, whether this is video or a still. Stills must be sent in as jpeg or png format between 1MB and 3MB. You can use anything from an SLR to camcorder to a mobile phone to capture your images/film. Entries need to be sent in by the 21st of each month to be considered for the following month’s Big Screen exhibition and competition. All images/films submitted must be the work of the individual submitting them and they own the copyright for it. It is the responsibility of each entrant to ensure that any images/film they submit have been taken with the permission of the subject and do not infringe the copyright of any third party or any laws. Any music used in a film must be copyright free or have permissions for use on the Big Screen. The copyright of all images and films submitted for this competition remains with the respective entrants. However by entering the competition they provide a licence for the Big Screen to display their work as part of the competition. Should an entrant’s work be selected as a competition winner and be offered the opportunity to display their work in the final permanent exhibition, the entrant grants irrevocable perpetual licence to this end. Only one entry per person per month. An entrant can however enter the competition on a different month. A selection of entries from each month will be chosen by Bradford UNESCO City of Film and the City of Bradford MDC, Department of Place to go through to the final competition at the end of the 12 month competition. A panel of judges will select the winners. The judges’ decision will be final. The winners may be offered the opportunity to take part in publicity.